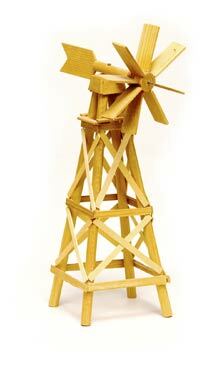 This kit contains all the parts and materials to assemble a model windmill, sentinel on the Great Plains. Finished, the wooden windmill is 12 inches high. Glue is not included.